The sounds are coming from a large cupboard in the farthest, darkest corner of the kitchen. Whatever could be inside? Find out in this colourful adventure story, full of thrilling puzzles for YOU to solve! 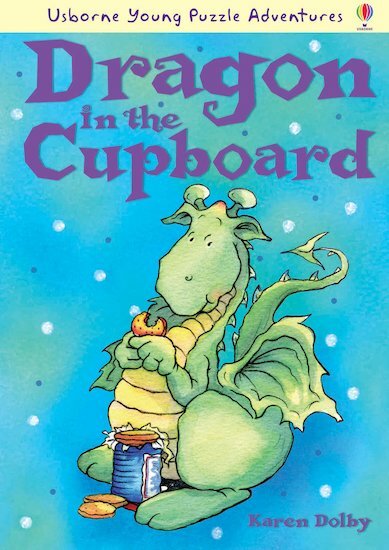 The little lost dragon is eating all the biscuits in George and Lottie’s cupboard. How can they get him back home? Can you help to solve this mystery? With puzzles and clues set into the story and answers at the back, this is a book with a difference: one where you get to take part!